Throughout the late-eighteenth and early nineteenth centuries, historical events were tremendously popular as adaptations for the stage. From the Revolutionary War to the French Revolution, stage dramas brought history vividly to life through powerful vocal performances and visual spectacle. The scale of the production was often ambitious, such as a Sadler’s Well staging of the Great Siege of Gibraltar, which featured a large water tank with floating vessels. Another production on the same topic added live cannons, which set fire to the vessels during the performance! 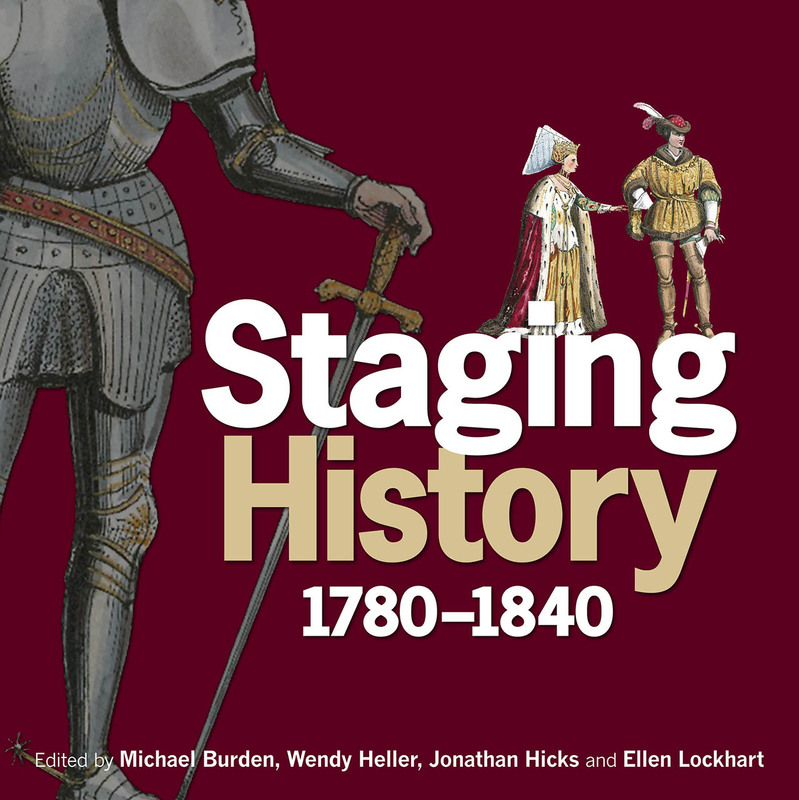 Drawing on copious new research, Staging History reexamines extraordinary theatrical works of the period to show the role they played in shaping popular interpretations of history. Editors Michael Burden, Wendy Heller, Jonathan Hicks, and Ellen Lockhart are joined by other experts in the field in analyzing theatrical documents, including playbills, set designs, and musical scores, as well as paintings, prints, and other illustrations, in order to explore what counted as historical truth for the writers, performers, and audiences of these plays.